CAMBRIDGE, MA--(Marketwire - June 11, 2007) - MetaCarta®, Inc., the leading provider of geographic search solutions, today announced an agreement with IHS Inc. (NYSE: IHS), a global provider of critical technical information, decision-support tools and related services, to enhance MetaCarta's Energy Geographic Data Module (GDM) to provide the most accurate and up-to-date information when searching for energy-related information specific to a location. Specifically, geologists and other E&P analysts using MetaCarta Geographic Text Search (GTS) and GTS geOdrive solutions will now be able to search for information such as blocks, licenses, oil fields, wells and basins found in IHS databases using the just-released MetaCarta IHS Global Oil & Gas GDM. 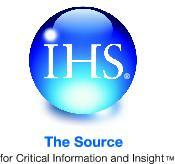 IHS is a leading global provider of a broad range of aggregated, structured data used by the energy industry to study potential and existing oil and gas (O&G) reserves, as well as the transportation, contractual, competitive and other above-ground factors involved in bringing reserves to market. With the world's most complete databases on wells, fields and other O&G entities, as well as geographic coordinates for these data types, IHS is the ideal choice to provide MetaCarta with a reference source to help guide smart-indexing of the vast amounts of unstructured data oil companies maintain and strive to fully leverage. MetaCarta GDMs are knowledge bases used to identify and disambiguate geographic references, assign latitude and longitude coordinates. GDMs contain natural language processing (NLP) logic, which is used to recognize the jargons and data types that represent geographic entities, disambiguate names, and establish greater geoconfidence and georelevance. "The alliance with IHS has allowed MetaCarta to develop an energy industry-specific GDM utilizing the rich global knowledgebase of IHS," said Ron Matros, president and CEO of MetaCarta. "Having the most accurate and comprehensive source of E&P information available with our search tools will allow our customers to more accurately pinpoint and collect location-specific information. Helping them get the information they need more quickly is critical to their business, particularly when they are making billion-dollar decisions." The Energy GDM is used with MetaCarta Geographic Text Search (GTS) as well as GTS geOdrive and contains thousands of place names, reference formats, and usage statistics particular to the energy industry. These include wells, blocks, MMS areas, oil and gas fields, basins, geologic provinces, and assorted other oil and gas features. "Energy companies face a tremendous knowledge-management challenge in order to take full advantage of the accumulated insights across their respective companies that relate to a particular geologic province, an individual well or other asset," said Timothy Hopkins, vice president of Strategic Marketing at IHS. "With the MetaCarta offering, IHS customers will have the ability to search unstructured data, ranging from the proprietary archives of a retired, 30-year veteran geologist to the latest public press release on an emerging field, and choose from a list of geographically verified matching results. We think oil and gas companies will be delighted with this alliance and the added value it brings." MetaCarta will showcase the new GDM at the EAGE Conference & Exhibition, BOOTH #672 at the ExCeL London Centre in London, UK from Monday, June 11, 2007 to Thursday, June 14, 2007. MetaCarta, Inc. is the leading provider of geographic search solutions. MetaCarta products make data and unstructured content "location-aware" making that information geographically relevant. These innovative solutions make it possible for customers to discover, visualize, and act on important location-based information. Founded by a team of MIT researchers in 2001, MetaCarta is privately held, with US headquarters in Cambridge, Massachusetts and offices in Vienna, Virginia and Houston, Texas and resellers worldwide. For more information, please visit www.metacarta.com or MetaCarta Resource Center. MetaCarta is a trademark of MetaCarta, Incorporated. IHS is a registered trademark of IHS Inc. All other product or corporate references may be trademarks or registered trademarks of their respective companies.